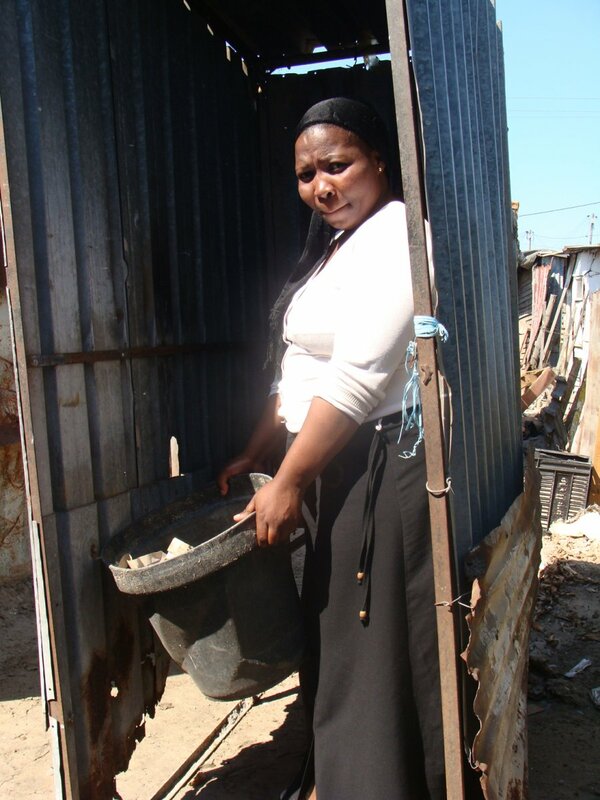 Despite a drastic reduction in the number of bucket toilets in Cape Town, residents of informal settlements where the toilets still exist say they are fed up with their continued existence. Since 2007, the City of Cape Town has eliminated 1,663 bucket toilets from the sanitation system, but over 1,000 remain, according to figures provided by the City. But the reduction is not enough for residents like Fundiswa Jim, 40, who lives in TR Section, an informal settlement in Khayelitsha’s Site B area. Jim said she had used bucket toilets for the last 13 years. She said the toilets attracted flies and had an “unbearable stench” because they filled up and sometimes overflowed. Faeces were regularly spilt near shacks and water taps, she said. “People here are dying of sickness. I don’t think the government takes us as humans,” she said. Pateka Katsikatsi, another resident of TR Section, said residents wanted the bucket toilets to be replaced by flush toilets, which were more hygienic. Jaco Muller, informal settlement service senior officer in the City of Cape Town’s Water and Sanitation Department, said since May 2007, the “black bucket” toilets had been reduced from 2,857 to 1,194. This was out of a total of 19,935 toilets in informal settlements. Muller said bucket toilets were in areas that could not be serviced by waterborne sewer systems, including TR Section, Boys Town, and Crossroads. Alternative sanitation options would be implemented as soon as city-wide backlogs had been eradicated and additional funding was available, said Muller. South African Municipal Workers Union (Samwu) chairperson Lance Veotte said people with bucket system toilets were likely to suffer from disease. Veotte said although a Samwu campaign had encouraged people to wash their hands to prevent disease, many people in informal settlements faced water shortages, making it difficult for them to wash their hands. Cape Town mayor and DA leader Helen Zille referred queries to acting manager of water and sanitation Garnett Jefferies, who said the budget was available to remove bucket toilets, but the density of shacks was a problem as people did not want to move so that infrastructure could be put in place. But ID leader Patricia De Lille said government was to blame for the continued existence of bucket toilets as service delivery was not prioritised. During his State of the Nation Address in 2006, former president Thabo Mbeki set a 2007 deadline for the eradication of bucket toilets.